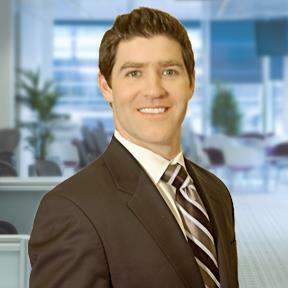 What is the Law Regarding Attorney-Client Privilege in Illinois? When defendants charged with DUI refuse to answer prosecutorial questions by invoking attorney-client privilege, this means they think they have the legal right to withhold certain communications that occurred between them and their Chicago DUI attorney. Communications (verbal, emails, texts, letters and even tweets) between clients and their attorneys must have been made “in confidence”. In other words, the communication was made in private and not meant to be shared with anyone. Communications from clients to their attorneys must have been provided to attorneys who are acting in their legal capacity to represent the client. This means communications possibly qualifying for attorney-client privilege should have been given to clients from attorneys who were imparting legal services or advice. Illinois law tends to disfavor attorney-client privilege. Consequently, the law is rigidly construed and not applied lightly. For example, if clients are discovered to be boisterous and openly discussing their case with their attorney in public, a judge is not likely to allow the client or attorney to invoke attorney-client privilege. In other words, don’t Tweet, Instagram or Blog about your situation! Can the Attorney-Client Privilege be Waived? Yes. Privilege may be waived if communication originally meant to stay confidential is ultimately disclosed to other people. However, a recent decision by the Illinois Supreme Court narrowed the scope of attorney-client privilege to apply exclusively to disclosures made during the course of litigation. Attorney-client privilege does not belong to the attorney but to the client. A DUI attorney cannot waive privilege. However, clients may waive their right to attorney-client privilege by inadvertently or voluntarily disclosing the contents of any type of communication with their lawyer. The death of a client may not automatically waive or terminate attorney-client privilege. An example of this involves the decision by the U.S. Supreme Court rejecting counsel Kenneth Starr’s attempt to obtain Vincent Foster’s notes while Starr was investigating Hillary Clinton’s role in firing several White House employees. Who Can Invoke Attorney-Client Privilege? Defendants and their DUI Lawyer may claim attorney-client privilege regarding information that meets the qualifying criteria. Litigants cannot invoke attorney-client privilege when attorneys are not acting as attorneys but as business advisors, members of boards of directors or other nonlegal role. What is not Protected by DUI, Attorney-Client Privilege? Attorneys may reveal information if it is necessary for defending the attorney or employees/associates of the attorney against accusations of wrongful conduct. Attorneys may disclose material otherwise protected by attorney-client privilege when it is necessary to establish fees or collect fees. 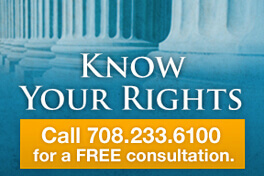 Attorneys are permitted (but not required) to disclose information if the client intends to commit a crime. Attorneys are required to reveal communications to the extent that it appears necessary to stop a client from causing serious bodily injury or death. In addition, attorney-client privilege may not apply to information disclosed at meetings where attorneys are present and not offering specific legal advice. Consultations between clients and their attorneys or general subject concerns constituting the consultation (employment/contract advice, litigation) are also not protected by attorney-client privilege. Communications made in the presence of other people outside the attorney-client sphere as well as communications delivered in non-private environments do not qualify as attorney-client privilege material. What Happens When Attorney-Client Privilege is Jeopardized by Improper Actions? In general, communications between a client and their Illinois DUI lawyer are protected and cannot be introduced at a trial. What happens when law enforcement somehow listens in on protected communications and discovers pertinent information about the case? Can police use this information during a court proceeding? No, they cannot use this information. For example, if a police officer eavesdrops on conversations between a lawyer and their client, learns the name of a witness who can weaken a defendant’s alibi and interviews this witness, that witness’s testimony could be excluded from the defendant’s trial. The reason this testimony could not be used is based on the “fruit of the poisonous tree” rule stating that if it wasn’t for the police officer illegally eavesdropping on the conversation, the office would not have found out about the witness. Can Attorneys Testify Against Clients? 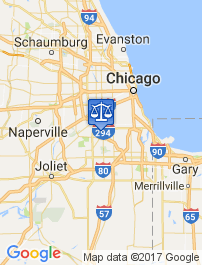 Only in very limited circumstances can an Illinois DUI lawyer testify against a client. When this happens, it usually means that the attorney and their now ex-client are adversaries or that the attorney has received a subpoena to testify. Regardless of the reason, attorneys have ethical and moral obligations to maintain client confidence to the fullest extent possible. This means that testimony given by attorneys against ex-clients does not equal “spilling” secrets. Even when clients file motions to appeal case(s) to reverse convictions based on fundamental principles of ineffective assistance of counsel. Regardless, a DUI lawyer has an ethical obligation to maintain client confidences to the extent possible, which means that testimony does not equate with spilling secrets. This is true even in the criminal context when a client files a motion to reopen a case and reverse a conviction based on ineffective assistance of counsel. Does Attorney-Client Privilege Extend to Paralegals? Attorney-client privilege does extend to paralegals and to all employees, agents and contractors associated with the law firm, as long as that individual is working as an agent of an attorney qualified to give legal advice. 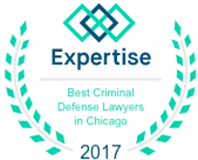 Having an experienced DUI attorney in Illinois, representing you in court is essential for ensuring your rights as a defendant, is protected under Illinois law, and any evidence illegally obtained is excluded from your case. Evidence legally withheld from court cannot be utilized by prosecutors to prove their case. This could increase the likelihood you are found “not guilty.” Sometimes, a skilled Illinois DUI lawyer may get evidence excluded that the prosecution determines they do not have enough evidence to proceed and dismisses the case before going to trial. If you have been charged with a DUI, seek top legal representation as soon as possible, to maximize your rights, as well as other rights relevant to fighting your charges.